We met on the web when we still could count our Champions Leagues with two hands. We needed to live our support for the team in an active way. 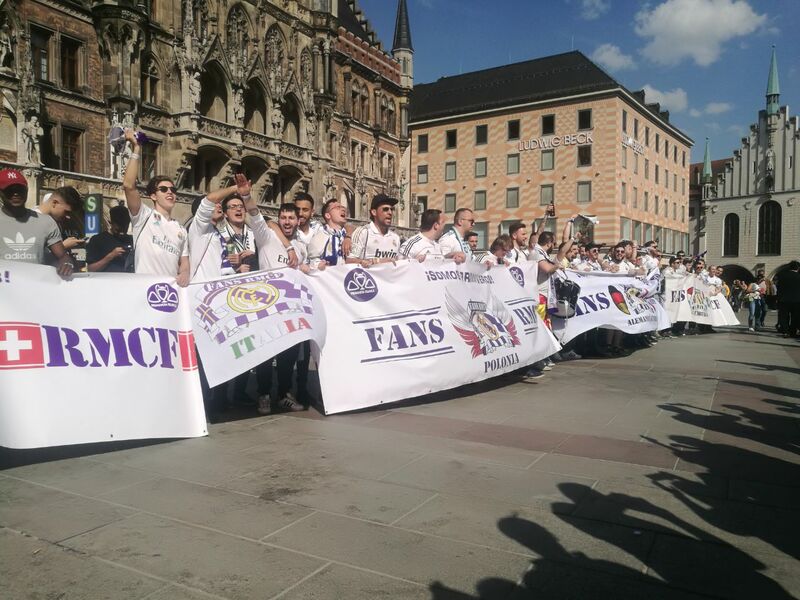 We gathered as an association to defend the pride and the independence of Real Madrid. Now we are the biggest madridista association of the world, and Peña Oficial of the Real Madrid C.F. We make real the ideas of a transversal, modern and positive madridismo. Join us! We are the proof of another lie of the sports media. We are over 600 Real Madrid partners (socios), and more than 4700 madridistas that can not be socios, that have shown that their commitment with our club is not smaller than the most dedicated socio. We are from all around the world, because since a lot of decades the greatness of our club, time ago the team of the city of Madrid, surpassed the always narrow limits of a territory to become an universal good. 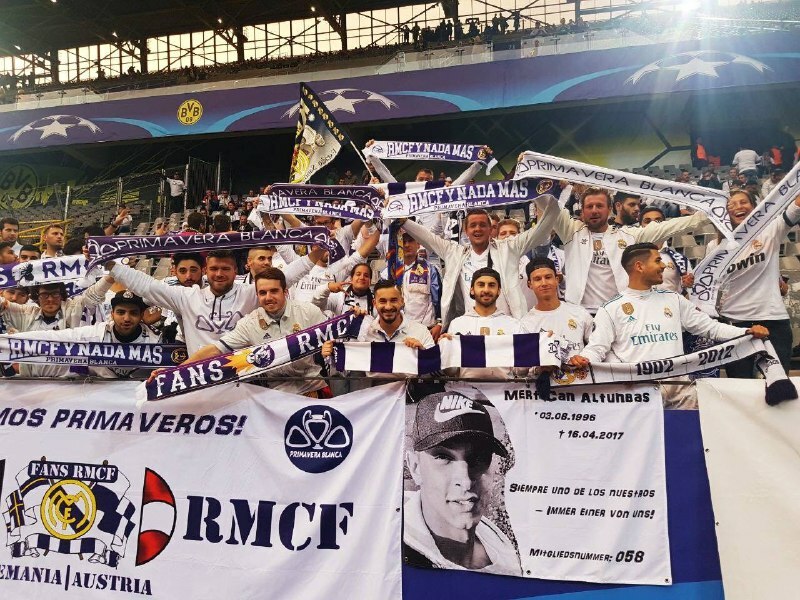 We are madridistas that fully connect with the tradition of a Real Madrid that in the field, in the society and in the institutions never accepted defeat. We are members of the heroic Real Madrid champion of Spain, that after the Spanish Civil War found itself with no stadium, no players, no board, no socios and with a rival patronized by the army that won the conflict, and never surrendered. It started to draw in the grey horizon his own Spring (Primavera), looking and founding it, and after 21 years without winning a Liga, it became the best club of the world. The Real Madrid of Bernabeu, of Five European Cups in a row, origin of an impossible greatness for every other club, with the universal admiration and object of the hate, heritage of the greatest. By the way, Do you know the history of Real Madrid? Click here to discover it! Do you know the history of Real Madrid? We totally connect with the Real Madrid that, repulsively prevented of taking his sixth European Cup, used his Socios Bulletin to do an historic cover: “Truth has only one face, Lie has two”, denouncing with names and surnames two partial referees, showing that Real Madrid does not surrender to the power machinations, and he defends itself in the field and outside of it. Those are our values, as our hymn says: “A triunfar en buena lid, defendiendo tu color”: triumphing in the good battle, defending your color. We are not an electoral candidacy, we are not an opposition group. We are madridistas and socios. We express ourselves in the social media and in the stadium. We have socios compromisarios (partners representatives) that vote in the General Assembly of Members. We want to be hundreds more of people committed with the Independence of Real Madrid and the Pride of being part of Real Madrid. We are madridistas with nothing to learn in formation and resources of many elements of the sports media, that due to their position on the media are able to condition the opinion of millions of madridistas. But their reason, expression and dialogue capacities every day shames the radio listener, the tv watcher and the press reader. 1.- To spread the universality of madridismo as a feeling of our commitment to Real Madrid C.F, vertebrating those who share it with our activities and services to the association. 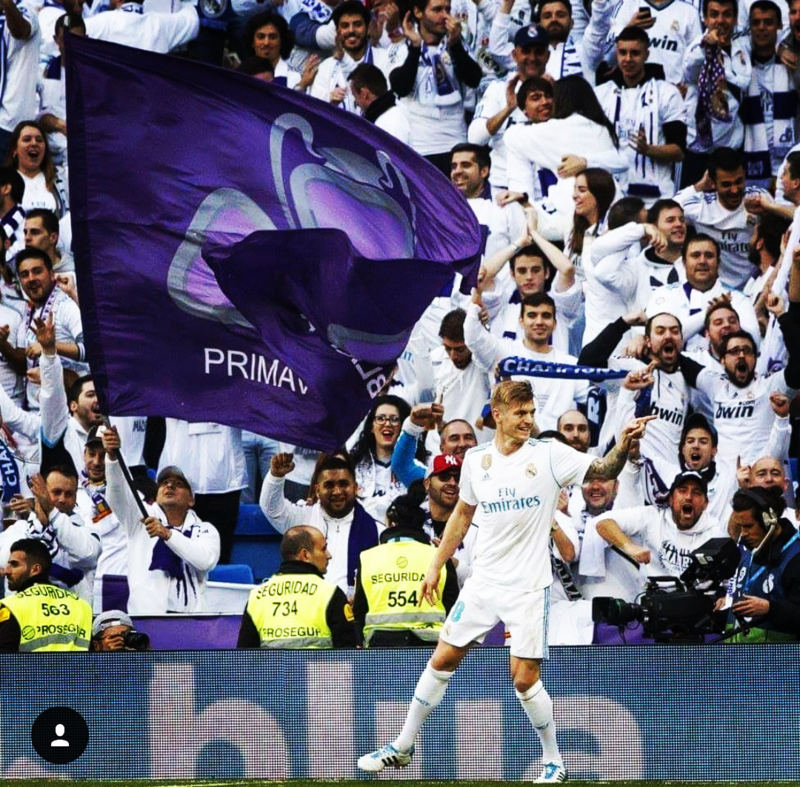 2.- To defend the pillars where is placed the greatness of Real Madrid, spreading between madridistas the true history of the club and supporting the scenarios that keep our greatness that we madridistas want for the future. 3.- To unveil to the public opinion, with the legit ways that we have, the falsehood and tendentiousness that, in our eyes, have any kind of information that hurts Real Madrid, his players or the madridistas. 4.- To support our team in active way in the Santiago Bernabeu, being ideologists, founders, and prouds members of the Grada FANS (Fans Stand), an animation stand that is a model around the world for his support of the team and his commitment in a non-political, pacifist but passional, modern and open animation.